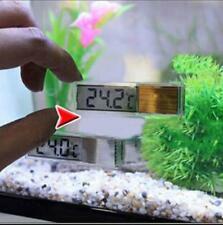 LCD 3D Crystal Digital Electronic Aquarium Thermometer Fish Tank Temp Meter. Condition is New. 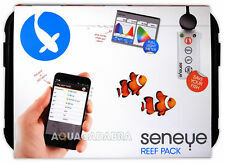 The seneye monitors pH in your aquarium water between 6.4 and 9. This range is ideal for most aquatic life and by focusing on this range increased accuracy has be achieved. Readings are only taken when the seneye device is in water, no false readings. It enables you to quickly and easily program an individual light profile for a NovoLux LED lamp with two dimming phases (sunrise and sunset). Programmable individual sunrise and sunset. 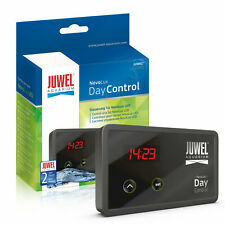 Programmable individual dimming duration. Suitable for Juwel HeliaLux LED 550, 600, 700, 800, 920, 1000, 1200 and 1500 lighting units. Enhances the beauty of your aquarium. Provide ideal lighting conditions for al of your fish and plant health. Easy to install, just drop it in the tank and attached the suction cup to the inside of the tank for easy and accurate reading. It floats and is secured by a included suction cup. High transparent Crystal glass shell design, fashion and super 3D perspective effect! Exquisite small,convenient and simple to use! Rate (item arrived). Genuine Oase biOrb part 35222. biOrb small MCR light - part no. 45995. biOrb large MCR light - part no. 45994. For MCR LED Light units. Works with all MCR BiOrbs. 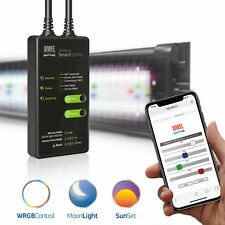 Works with the following MCR lighting systems. EASY TO SETUP: Easily attached to inside of aquarium glass with sucker. CONVINENT: It is floating and fixed by the attached sucker. DESIGN: It also has a safety zone temperature range indicator for most tropical fish. Weight: 25 grams net weight, (plus box) gross weight 30 grams. LCD display. LCD size:: 40 22.5mm. Turn over to the back of this product;. Temperature out of range prompt Hi. Product use. The HeliaLux Spectrum makes the colour channels white, red, green and blue available. ServiceMode:Create optimum conditions for carrying out maintenance work in your aquarium. Your HeliaLux will light up at 100% luminosity to enable you to work comfortably on the aquarium. · Fully upgradeable. SUPPORTS ALL BUILT-IN VORTECH PUMP MODES. Now you feed the fish and the food goes everywhere but in the sump! How’s that for automation?. FEATURES OF THE VORTECH WIRELESS EXPANSION MODULE. Are your corals not as vibrant as you expect?. Have you ever had an aquarium crash unexpectedly?. As the seneye devices are USB there are multiple connection options available. 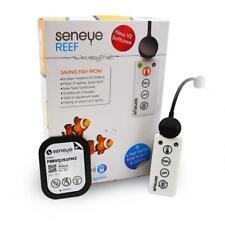 The seneye Reef is also great for planted aquarium keepers! As the seneye devices are USB there aremultiple connection options available. 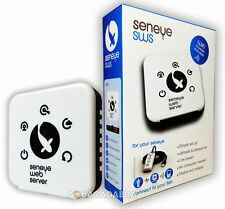 Place the seneye directly in a filter or float it in a pond. Use the Active Extension accessory and increase the cable length to a massive 17.5m. Are your corals not as vibrant as you expect?. Have you ever had an aquarium crash unexpectedly?. As the seneye devices are USB there are multiple connection options available. 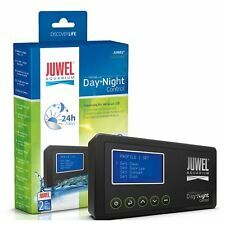 the seneye monitors pH in your aquarium or pond water between 6.4 and 9. Features: High transparent Crystal glass shell design, fashion and super 3D perspective effect! Precise chip, High sensitive electronic sensors to measure temperature, accuracy up to1℃ Multi-purpose thermometer, can be used as a body thermometer, aquarium thermometer, indoor and outdoor thermometer and so on Exquisite small,convenient and simple to use! Specification: Size: 7x1.5cm(LxW) Color: Random Measuring range: -45 ℃ -80 ℃ Accuracy: ±1℃ Powered by button batteries (included) How to use:Please don't put in the water,it's not waterproof .with adhensive on the back of thermometer,you can tear off the sticker and stick to the outer glass of aquarium under the water level. 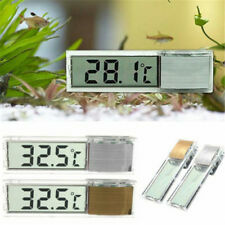 Package included: 1pc x aquarium LCD thermometer Conversion:1 inch=25.4mm or 1mm=0.0393inch. High transparent Crystal glass shell design, fashion and super 3D perspective effect! Exquisite small,convenient and simple to use! Color: Random color. Rate (item arrived).